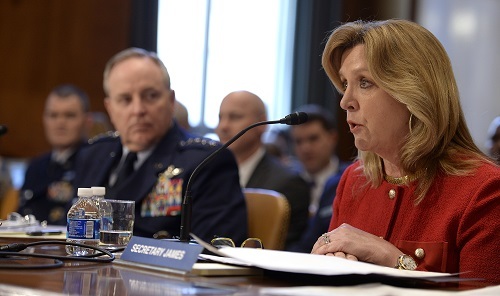 WASHINGTON, February 11, 2016 (AFNS) – Air Force Secretary Deborah Lee James and Air Force Chief of Staff Gen. Mark A. Welsh III testified before the Senate Appropriations Committee on the fiscal year 2017 Air Force posture on Capitol Hill Feb. 10. 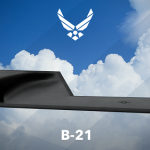 Both James and Welsh stressed that the need for airpower continues to rise and the gap between the U.S. Air Force and its closest pursuers is closing. 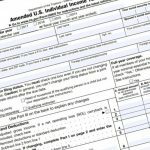 The Fiscal Year 2017 Air Force Posture Statement states the president’s fiscal 2017 budget aims to build, train and equip an Air Force capable of responding to today’s and tomorrow’s threats. In her opening statement, James outlined her three priorities: taking care of people, balancing readiness and modernization, and making every dollar count, which are the foundation of the president’s fiscal 2017 budget. 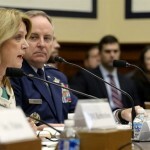 “Airmen and their families are the Air Force’s most important resource and our budget reflects this truth,” James said. 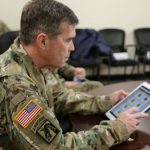 The Air Force stopped downsizing and started right-sizing total force end strength to address a number of key areas to include cyber, nuclear, maintenance, intelligence, battlefield Airmen, and the remotely piloted aircraft community. James stated her second priority is getting the balance right between readiness and modernization. In 2013, sequestration put a strain on the Air Force, forcing the service to park jets, delay upgrades and halt training, which created a gap in readiness. In order to equip the force, the Air Force has invested in the F-35 Lightning II, KC-46 Pegasus and the long-range strike bomber, but modernization doesn’t stop there. 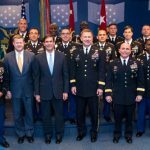 According to the Fiscal Year 2017 Air Force Posture Statement, as the challengers of the Air Force employ increasingly sophisticated, capable and lethal systems, the Air Force must modernize to deter, deny and decisively defeat any actor that threatens the homeland and its national interests. 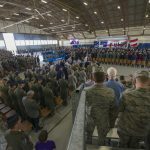 The posture reflects the third priority, which is the Air Force’s commitment to preserving taxpayer dollars with a number of initiatives that include streamlined energy usage and cost saving ideas directly from our Airmen.